Dril-Quip completes the first phase of Catcher project with the successful Installation of its twelfth tree. 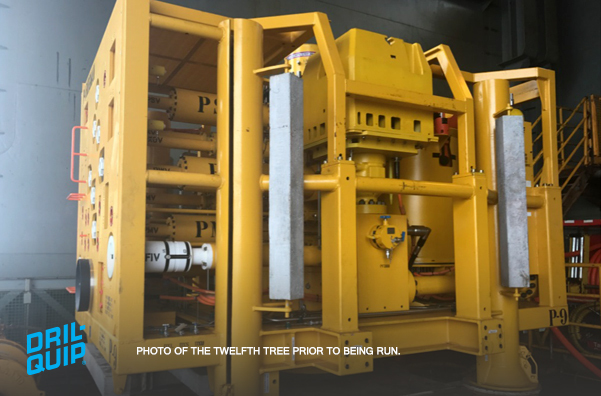 Dril-Quip has recently installed the twelfth subsea tree on the Premier Oil Catcher area field development project. This completes the wells on the first three templates installed on each of the fields (Catcher, Varadero and Burgman) which make up the overall Catcher area development. Dril-Quip has also completed installation of the topside controls and pre-commissioning work on the BW Catcher FPSO which sailed from Singapore with final commissioning work planned in the North Sea prior to field production. Click here for more information about Dril-Quip’s Subsea Field Development Systems.